Choose local varieties. Ask at your local nursery for the varieties which do best in your area. Many exotic varieties are inviting, but the local varieties will produce best with the least effort. Match the tree to your soil. Plums, for example, do well in damp soil conditions which might not be good for apples. Pears and apples can handle drier soil, but need good drainage. Peaches can get blight from too much rain, so they will do better in semi-protected areas, like alongside buildings under eaves which offer some protection. If you have a planting location in mind, consult with your local nursery or garden center. Provide pollinators. Not all fruit tree varieties are self-pollinating. 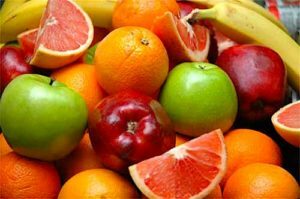 Often, the right combination of varieties are necessary for fruit trees to produce fruit. Most apples are partially self-pollinating and will set some fruit off their own pollen, however these varieties will set more fruit if cross-pollinated with another variety. Ask at your local nursery about the pollinating requirements for trees you are considering. Extend the harvest. If planting a few trees, choose varieties which will give you fruit for a longer time. With apples, for example, you can plant one early variety like Gravenstein for summer eating, a late summer variety like King for fall eating, and a winter keeper which can be stored all winter. Stored properly, the fruit from winter keepers will last to the following March or April. With three trees of different harvest times, you’ll enjoy your own organic fruit for 8 months of the year. Contact us today at Orlando Outdoors!